In the investing community, Tiger Cubs occupy a special spot, most of them becoming very successful hedge fund managers and delivering strong returns for their investors. 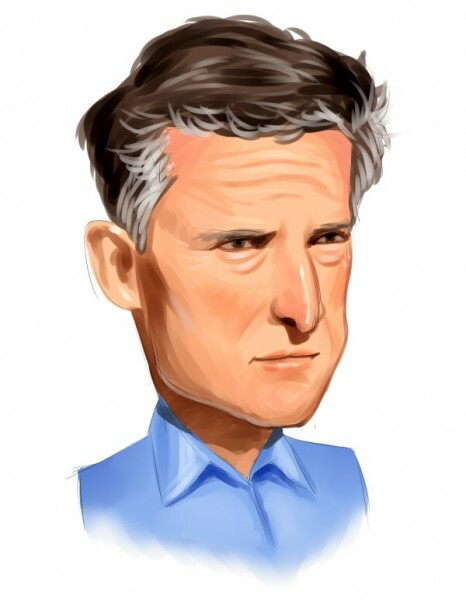 Among Tiger Cubs, billionaire Andreas Halvorsen, who leads Viking Global, is one of the best investors, which is why we follow him and Viking alongside over 700 other hedge funds. In his letter to investors for the third quarter, Halvorsen said that Viking Global Equities and Viking Long Fund had declined by 1.4% and 7.9%, versus the 6.4% loss of the S&P 500 and 7.7% drop registered by the MSCI World Index. “We generated a 5.0% long-short spread during the quarter, but solid stock picking was overwhelmed by our relatively high net exposure during the broad market sell-off,” Halvorsen added. In this way, Viking’s returns were positively impacted by its long picks in the tech sector, while healthcare was the worst performer. Still, Halvorsen maintained many of Viking’s positions in healthcare, increased the stakes in his favorite stocks and went short on some other companies that he believes will be the most affected if the government moves on proposals related to implementing price control on drugs. One of Viking Global’s short bets on energy delivered the best performance, contributing 1.3% to Viking Global Equity’s return, followed by a long investment in Alphabet Inc (NASDAQ:GOOG), which contributed 1.2% to both of Viking’s funds. Aside from Alphabet, Amazon.com, Inc. (NASDAQ:AMZN) and First Data Corp (NYSE:FDC) are two other long picks that had a positive contribution, while a long stake in AstraZeneca plc (ADR) (NYSE:AZN) was one of its most profitable healthcare bets. In this article we are going to take a closer look at these four companies. Why do we follow Viking Global and other hedge funds? The reason is simple, we analyze the stocks in which they prefer to invest and determine opportunities that can help smaller investors beat the broader market. Through extensive research, we determined that by imitating the 15 most popular small-cap picks among hedge funds, one can beat the market by double digits percentage wise per year. Our strategy that uses this approach has returned 102% since August 2012, outperforming the S&P 500 ETF (SPY) by some 53 percentage points (see more details here). Let’s get back to Viking and its top picks, starting with Alphabet Inc (NASDAQ:GOOG), which represented the fund’s largest holding at the end of September, according to the letter (it has not filed its 13F yet). At the end of June, Viking reported holding 2.74 million class A shares and 1.15 million class C shares of what was then Google, the stakes being increased by 67% and 36% on the quarter, respectively. Halvorsen said that he is bullish on Alphabet Inc (NASDAQ:GOOG) because of its transition to mobile from desktop, which carries a great revenue opportunity for the company as the pricing on mobile ads has gone higher, narrowing the gap with desktop ads. “We think that the secular shift of advertising dollars from traditional media to search and YouTube will drive substantial revenue growth going forward. Since cost growth is decelerating as a result of less aggressive hiring, we expect margins to expand,” Halvorsen said. Halvorsen’s optimism regarding Alphabet Inc (NASDAQ:GOOG) is shared by many other top investors, including billionaire Leon Cooperman of Omega Advisors. In a recent investor conference call, Omega said that Alphabet is its largest holding as of October 16, amassing 4.4% of its equity portfolio’s assets. The investor also estimates a 21% growth rate over the next three-to-five years. In the current round of 13F filings, billionaire Ken Fisher’s Fisher Asset Management reported ownership of 915,214 class A shares and 523,585 class C shares of Alphabet, held as of the end of September. On the next page, we will discuss the other three top performers of Viking Global.